The North West Championships were held on 15th/16th December at Wigan. 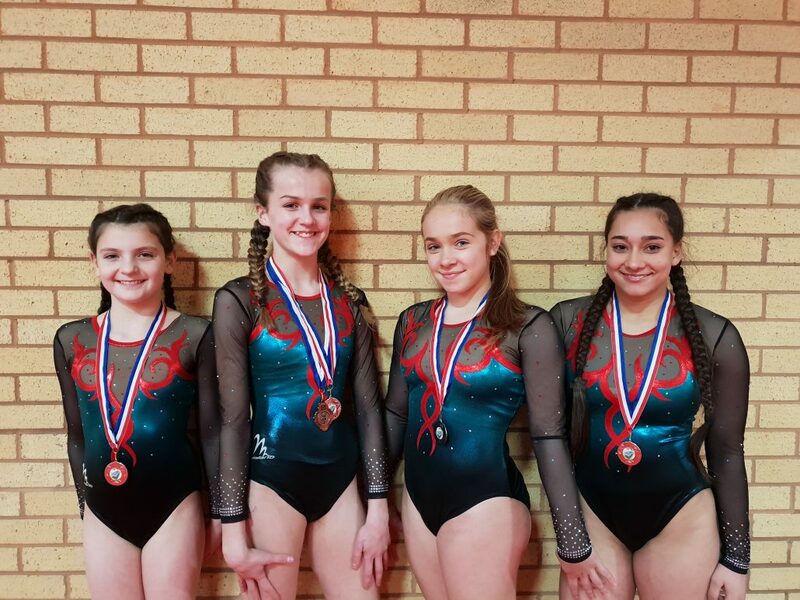 Cheshire Gymnastics had one team entered against many teams from other clubs and they performed great with a silver medal winning performance. Emily Ebbage, Milly Jackson, Heidi Hill and Jacinta Brackley all tumbled to a high level with great scores. 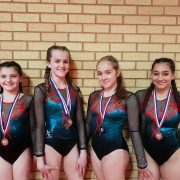 Milly Jackson also received a bronze medal in the individual tumbling event and received the highest excecution scores for the group, well done all. North West Womens Elite Tumbling Champion – Alisha Evanson Triumphant Trampolinists & Tumblers Go for Gold!